Bringing inspiration from the flora and fauna bursting to life this season bright floral designs and colour are perfect for any spring inspired table. Pop pastel colours are perfect to emulate the springtime blossoms that adorn the trees this time of year. 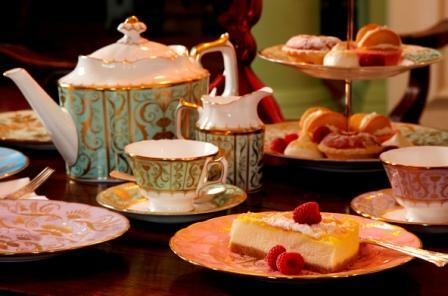 The Darley Abbey and the small collection of Darley Abbey Harlequin tableware design brings these pastel shades to life with beautiful 22 carat gold detailing in a classic pattern and shape. Mix and match the wonderful duckegg, green, baby pink and lavender pastel shades to bring wonderful but stylish springtime fun to the table. 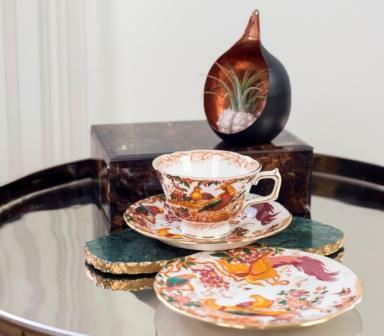 The Olde Avesbury pattern is one of the classics in Royal Crown Derby’s collection and is synonymous with everything spring like the bright floral designs burst to life with dramatic birds of paradise and peacocks embellished with hand painted 22 carat gold. This is perfect for adding a dash of spring inspired pattern to your table settings.